What’s most important to a teenager? While playing video games, snapping on Snapchat, and checking out Netflix may come to mind first, what it all boils down to is the need to fit in with peers. Teens in the Upper Valley who are interested in the theater arts will find a home with YES. 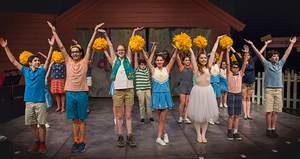 The young YES actors rehearse and perform three productions during the academic school year, resulting in a fully produced musical on the main stage at the Barrette Center for the Arts. They also participate in six group nights at Northern Stage with post-show discussions and monthly master classes with cast members from the main stage productions. 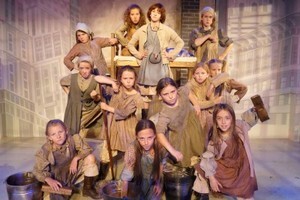 “The Youth Ensemble Studio is a valuable home for theater kids in the Upper Valley who are passionate about theater and want to bring their skills to the next level and share their talents with the community,” says Eric. Fourteen-year-old Roberto Silva-Neto, who attends Kimball Union Academy, says, “The Youth Ensemble Studio is a place where I can be myself and have fun with my theater friends (which are the best type of friends). YES is a place where I can pursue my dream of theater with people who share the same dream. I also get the chance to work with amazing people like Eric Love. Eric has been such a father figure to me and an inspiration to me, and I couldn’t imagine a world where I hadn’t met him." Eric spent six years acting and directing in New York City before joining the Northern Stage staff. He has a BFA in Musical Theater from The Hartt School at the University of Hartford and made his Broadway debut in BC/EFA’s Gypsy of the Year, performing to sold-out houses at the New Amsterdam Theatre. Many of the YES students are repeat participants. Eric notes that, of the 40 teens who are in this year’s troupe, 24 have completed one or more seasons of YES. He adds, “A teenager's world is increasingly dominated by email, movies, TV shows, YouTube, Instagram, Snapchat, video games, and other virtual reality experiences. Theater is the antidote. 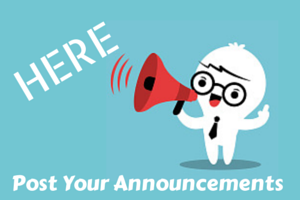 Keep up with all of the latest Northern Stage happenings by visiting their website.